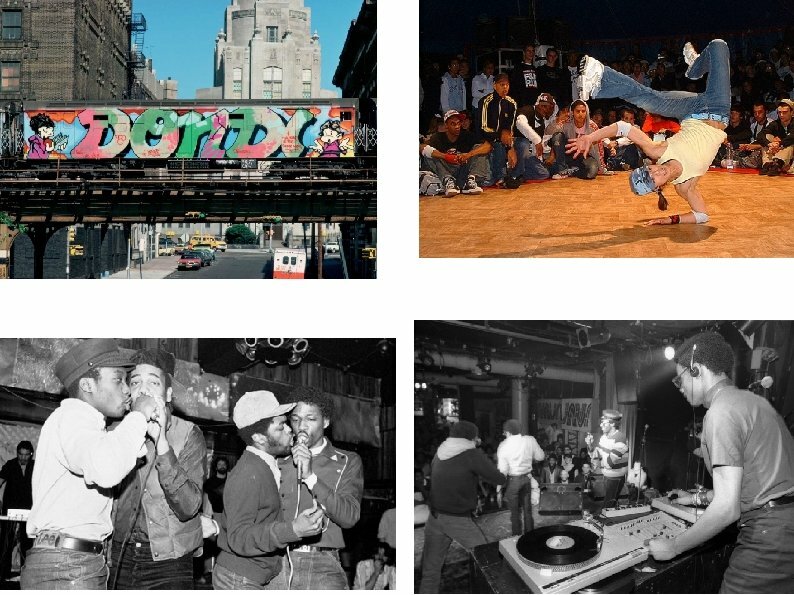 MC/Emcee and Live Performance • Master of Ceremonies • Microphone Controller • Early MCs just kept the party moving • By late 1970 s, MCs brought in a lot of bragging and boasting and party lyrics with choreographed routines. 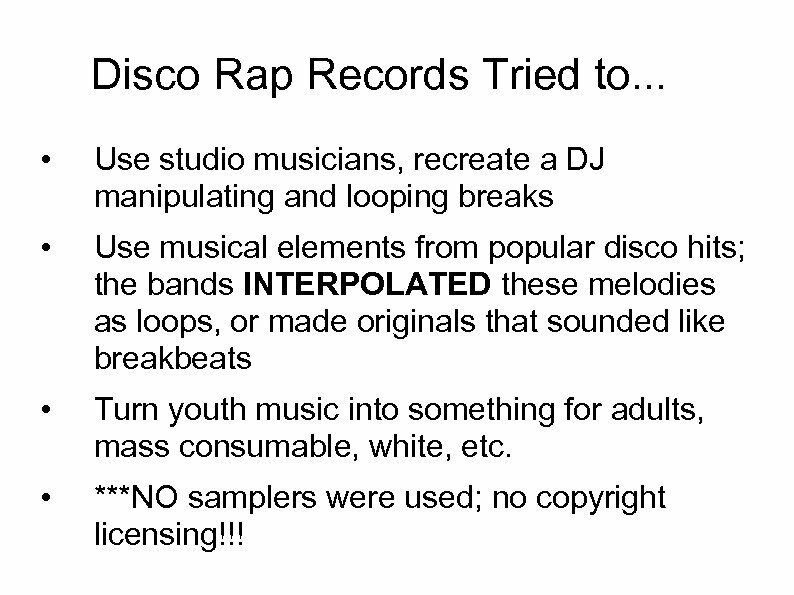 Disco Rap Records Tried to. 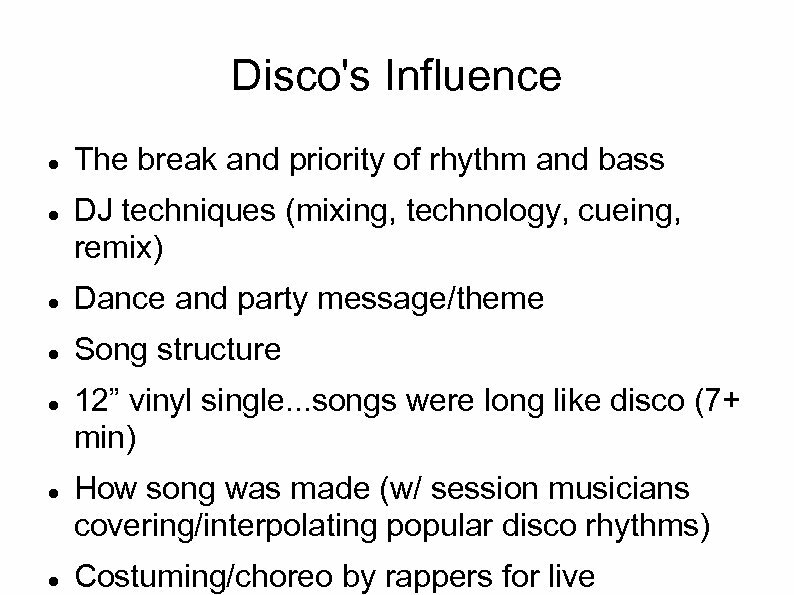 . . • Use studio musicians, recreate a DJ manipulating and looping breaks • Use musical elements from popular disco hits; the bands INTERPOLATED these melodies as loops, or made originals that sounded like breakbeats • Turn youth music into something for adults, mass consumable, white, etc. 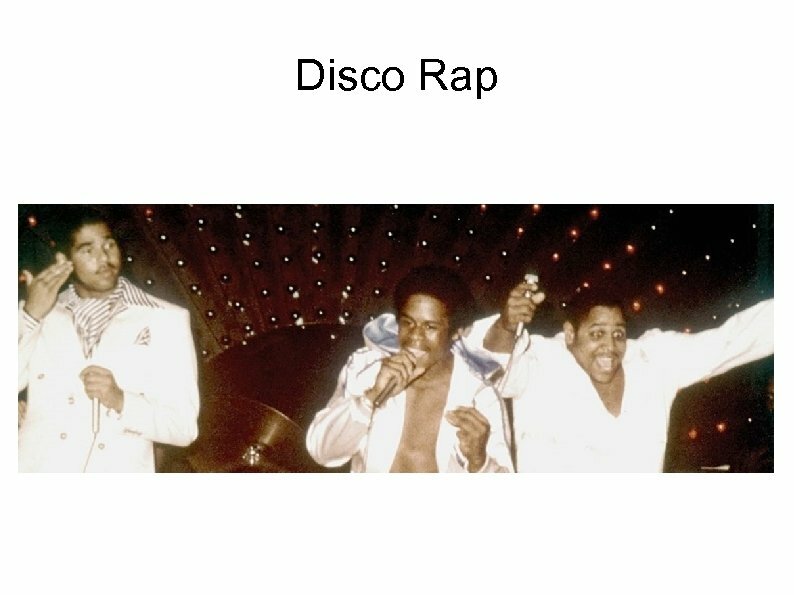 • ***NO samplers were used; no copyright licensing!!! 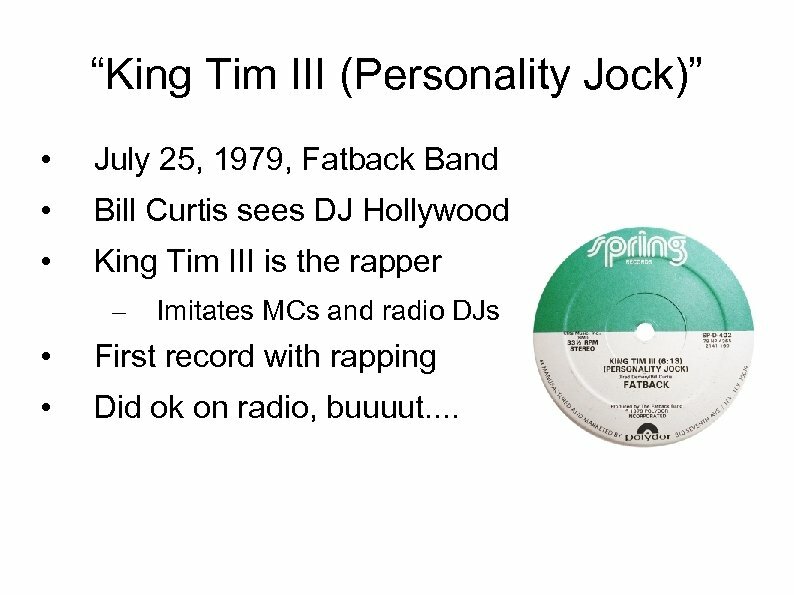 “King Tim III (Personality Jock)” • July 25, 1979, Fatback Band • Bill Curtis sees DJ Hollywood • King Tim III is the rapper – Imitates MCs and radio DJs • First record with rapping • Did ok on radio, buuuut. .
“Rapper's Delight” “forever changed hip hop music's (and hip hop culture's) relationship with the music industry” (Mc. 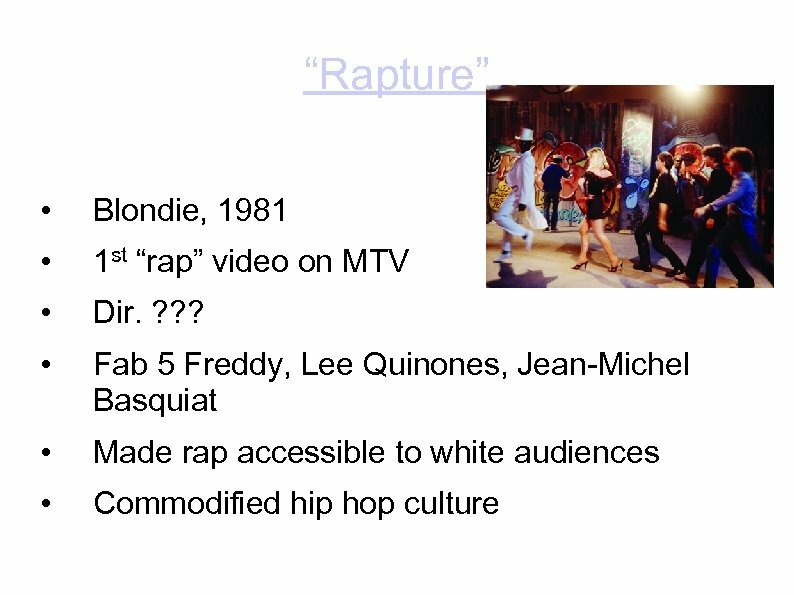 Leod 2001, 79 -80). 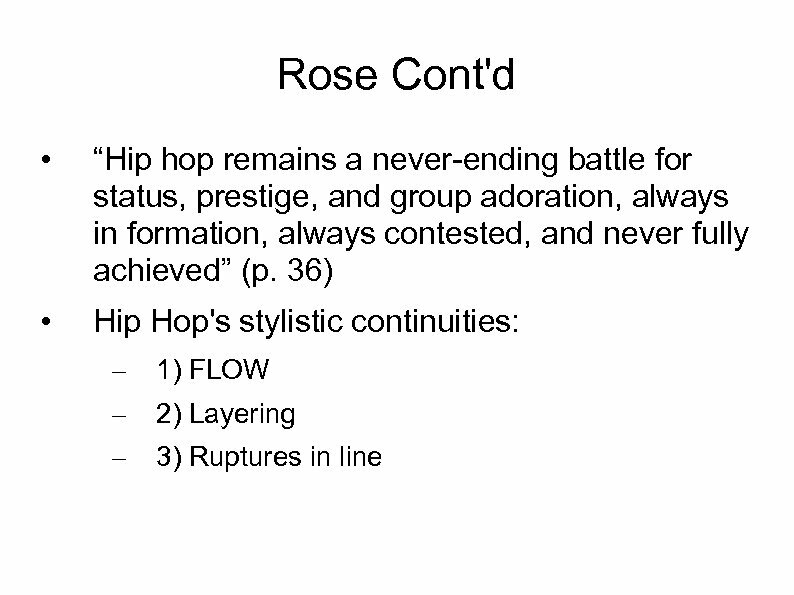 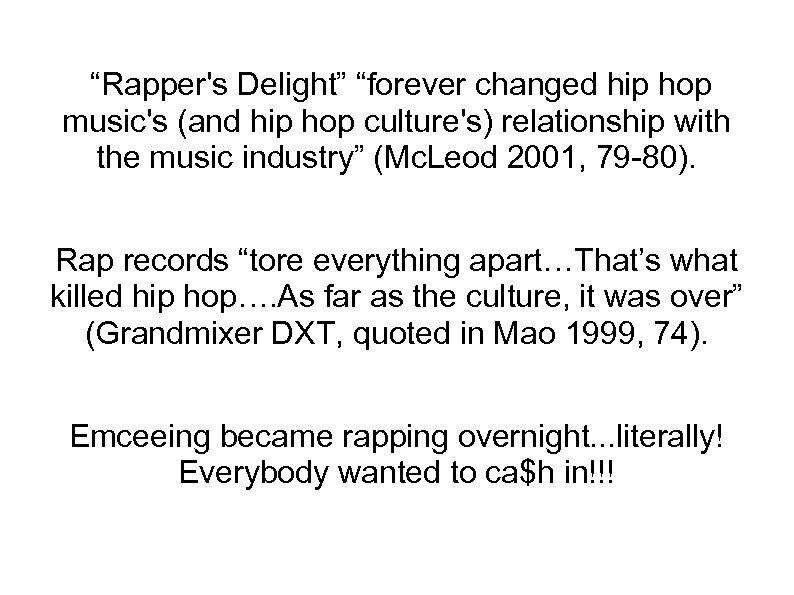 Rap records “tore everything apart…That’s what killed hip hop…. 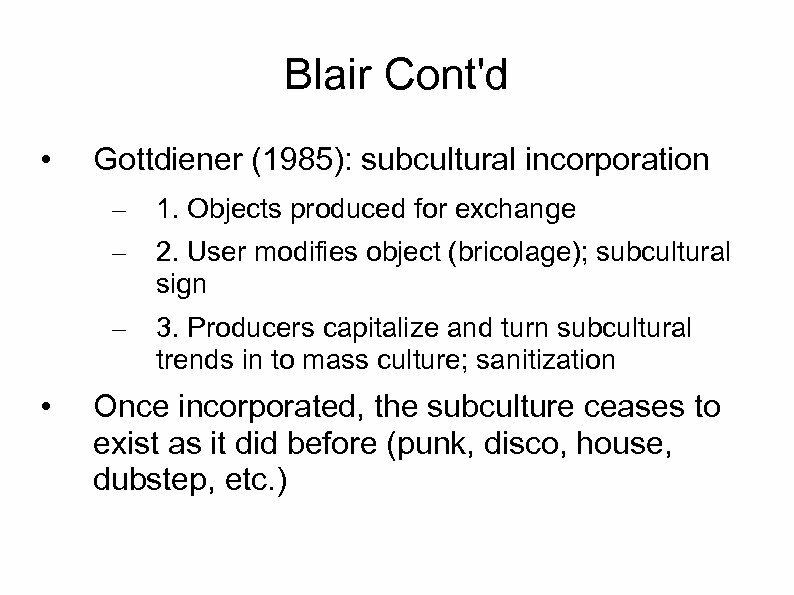 As far as the culture, it was over” (Grandmixer DXT, quoted in Mao 1999, 74). 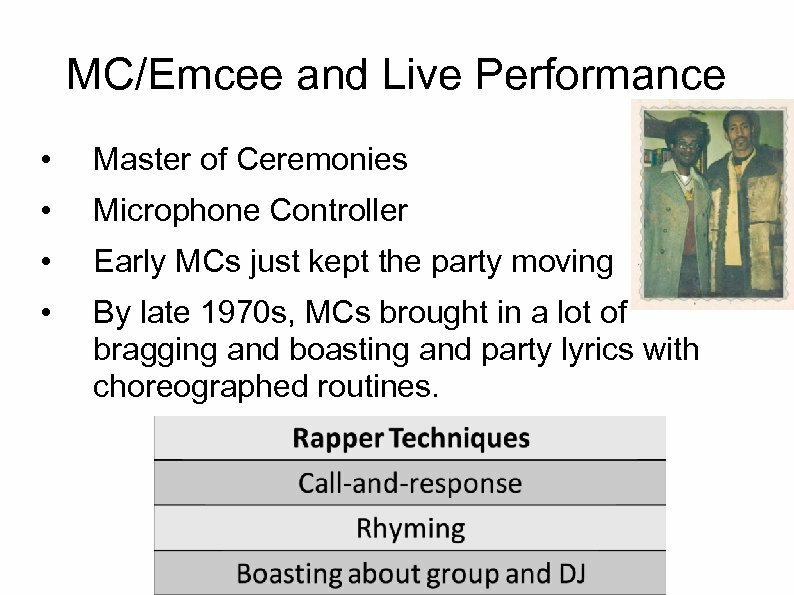 Emceeing became rapping overnight. 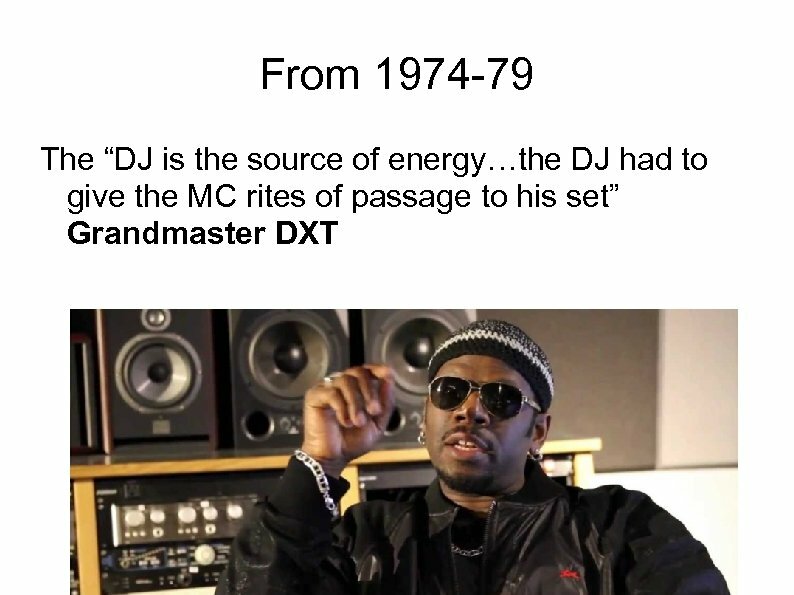 . . literally! 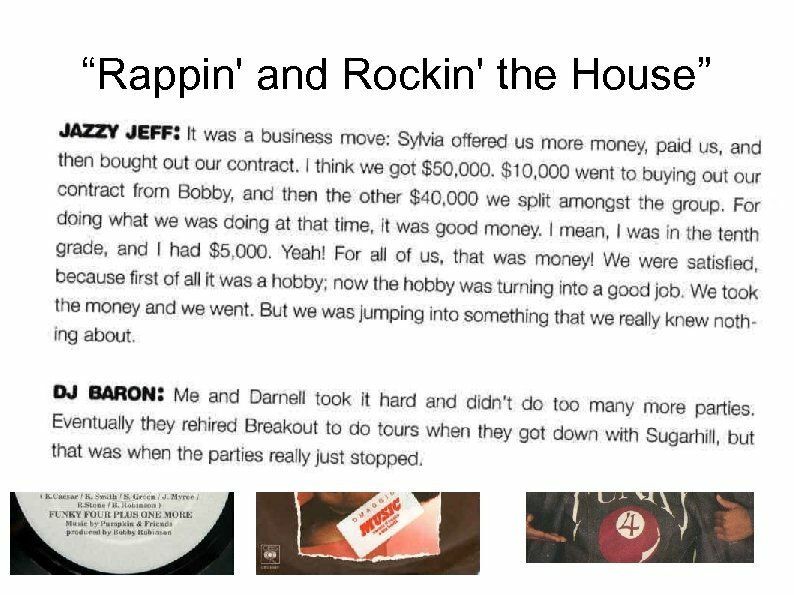 Everybody wanted to ca$h in!!! 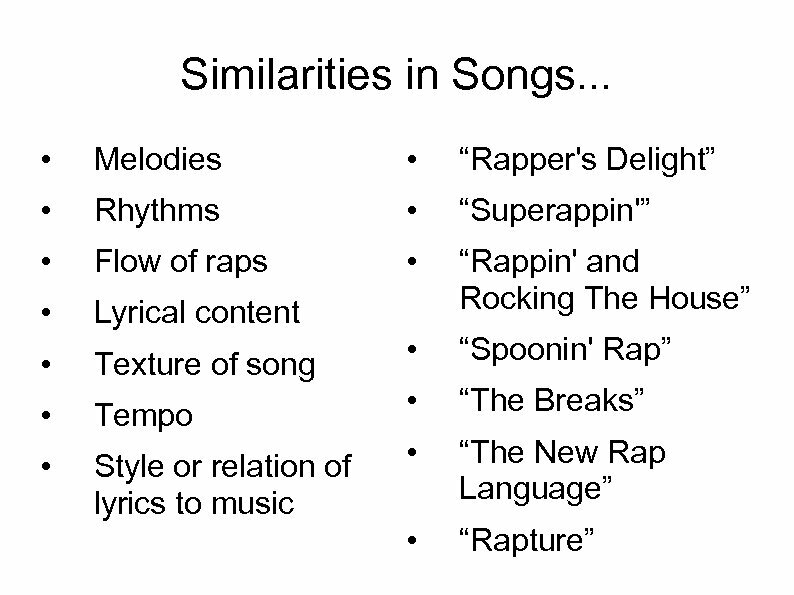 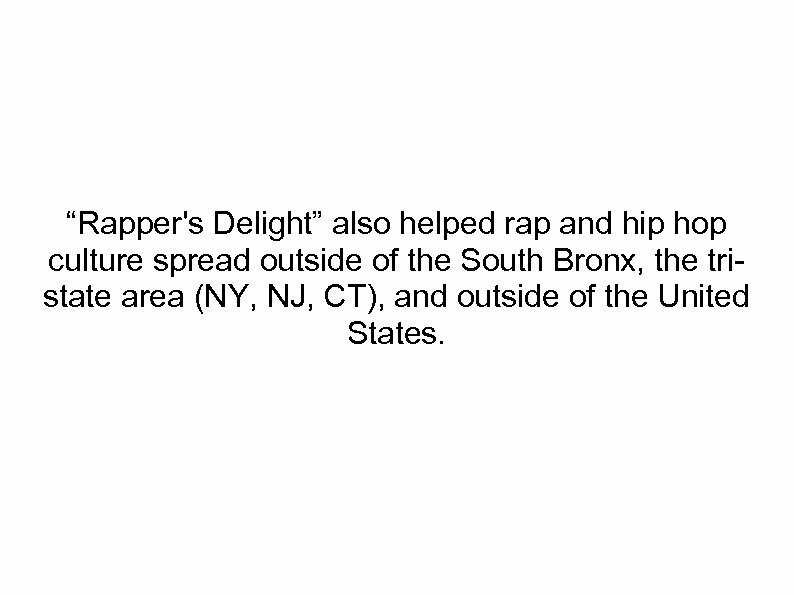 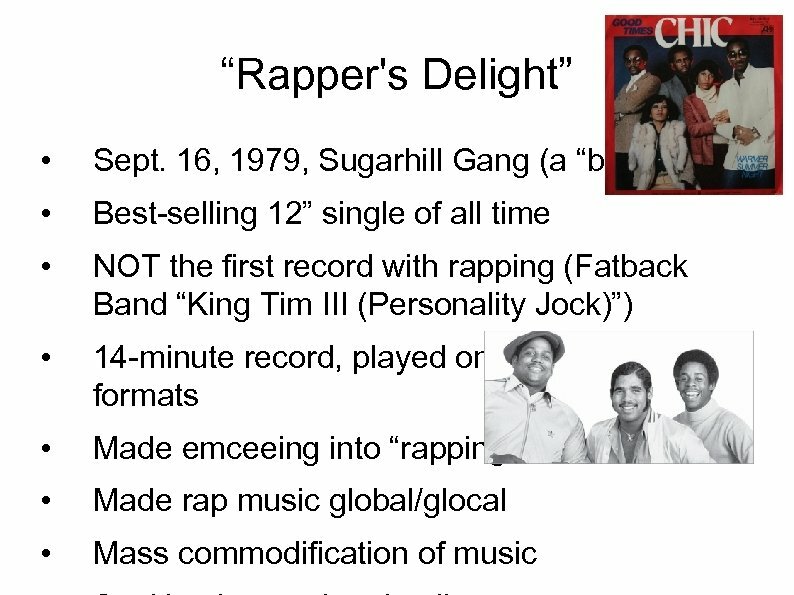 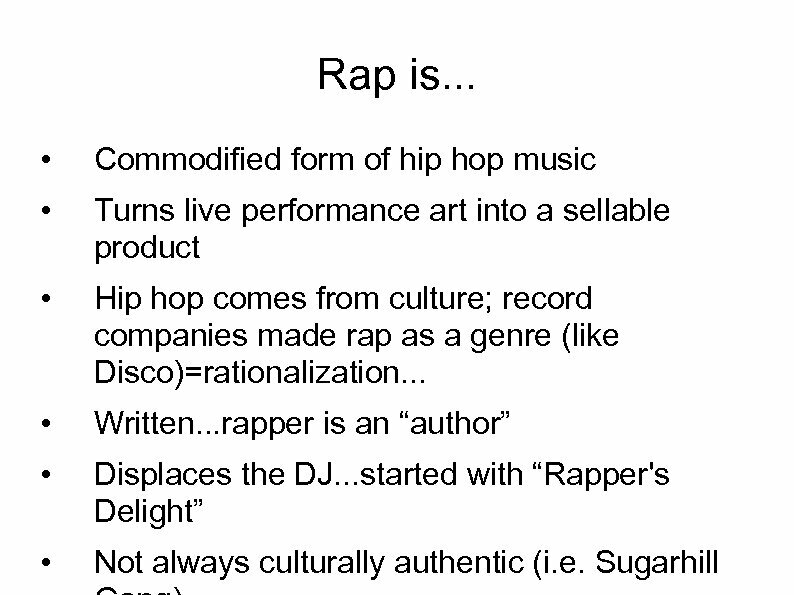 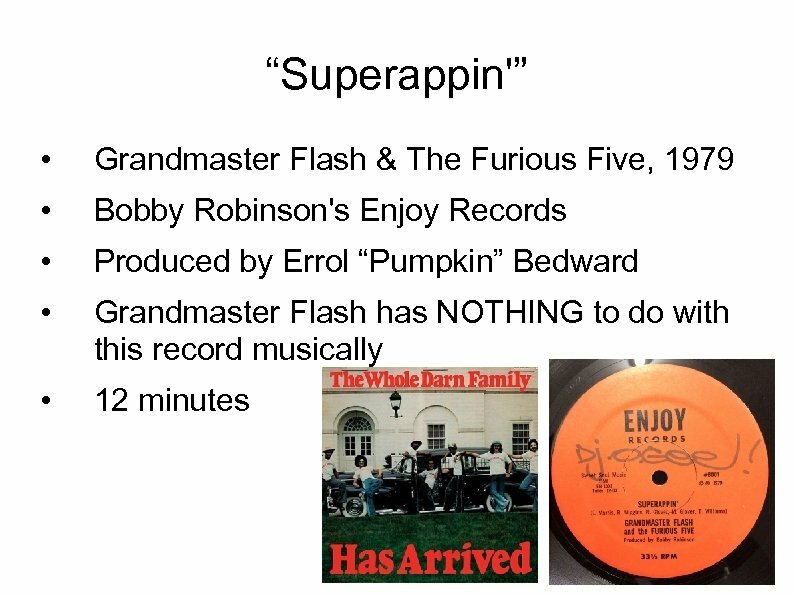 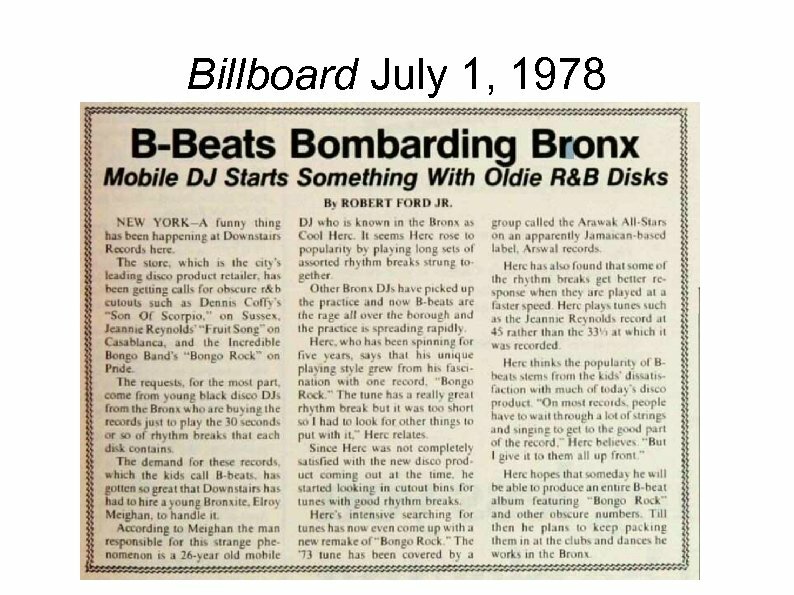 “Rapper's Delight” also helped rap and hip hop culture spread outside of the South Bronx, the tristate area (NY, NJ, CT), and outside of the United States. 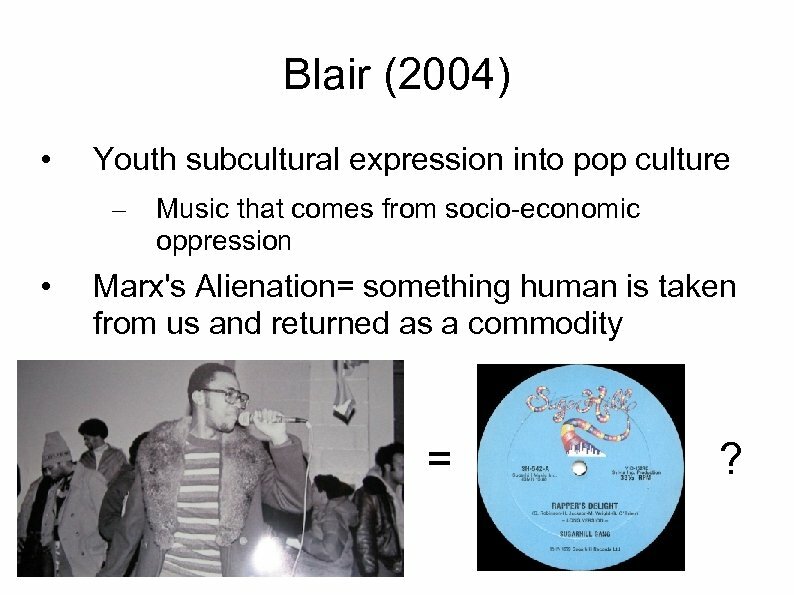 Blair (2004) • Youth subcultural expression into pop culture – • Music that comes from socio-economic oppression Marx's Alienation= something human is taken from us and returned as a commodity = ? 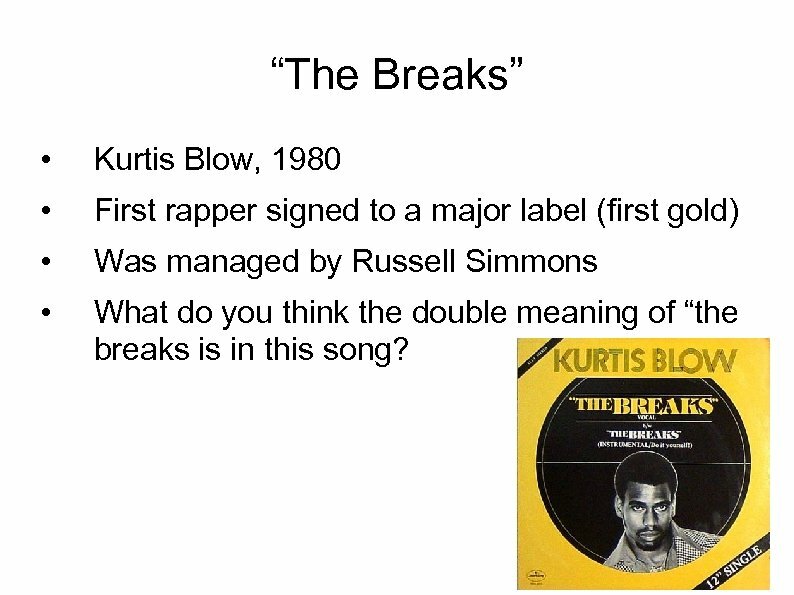 “The Breaks” • Kurtis Blow, 1980 • First rapper signed to a major label (first gold) • Was managed by Russell Simmons • What do you think the double meaning of “the breaks is in this song?